Maegen from Foster Ramblings is a good friend (connecting mostly through Instagram) who I met while sewing along with Project Run and Play. Just look at this gorgeous dress she made with all that embroidery detail!! 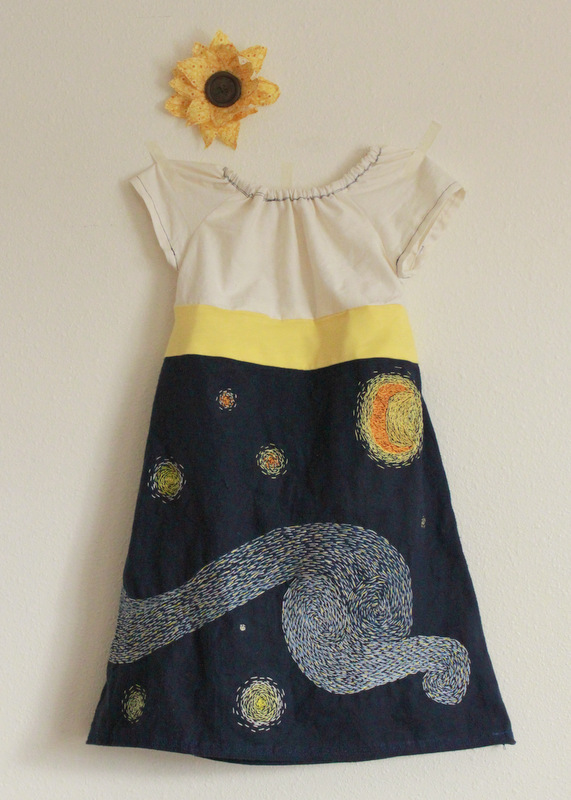 I really like her aesthetic and it’s amazing that she sews so many lovely little girl clothes in the hopes that one day her growing family will have a girl. She already has an adorable son and another on the way so you know she makes fun stuff for boys too. Recently she asked if I’d want to do a guest post listing a few of my favorite garments I’ve sewn for the Project Run and Play sew-alongs. I didn’t realize I’ve been sewing along since Season Three. It was a fun walk down memory lane and I’d love it if you headed over to Foster Ramblings to check out the post. On a related note, the Seventh Season of Project Run and Play starts next week and I’m already chomping at the bit to see what everyone will sew!